"Popcorn balls are colored orange and made to look like pumpkins. These are a fun Halloween treat for kid and adult parties. Very versatile!" 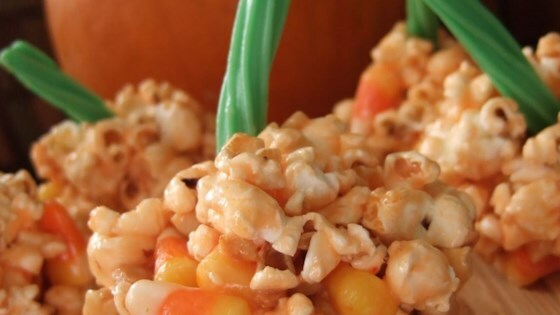 Get festive for Fall with these Halloween Popcorn Pumpkins!